Q&A with Bernd Mense, Master Butcher and Application Specialist at Reiser. Bernd talks about burger production and how processors can improve their burgers. There’s an expression about the person who knows how the sausage is made, which connotes someone who has intricate knowledge of a particular process and, perhaps, some secrets. Bernd Mense really does know how the sausage is made. One of his professional titles at Reiser is Sausage Maker. The other title is Senior Director of Food Technology, a role in which he also uses his lifelong experience and skill to improve the quality of burger patties. Bernd balances his knowledge of traditional ways of making burgers and sausages with technology that enables today’s processors to make better meat products more efficiently. He learned the craft – which is part art, part science – at a young age, first from his parents in his native Germany, who showed him how to grind meat and form foods like hamburger patties and fresh sausages. He has used that knowledge throughout his career in meat, food and processing equipment industries. He’s been with Reiser for 22 years, starting as a sausage maker and Director of Food Technology, then moving up to Senior Director of Food Technology, a role he’s held for nearly three years. “It’s what we try to do for our customers,” says Mense of Reiser’s systems that are designed to handle meat as gently as possible while still delivering on processors’ needs for consistency, quality and throughput. Just like the grinding, mixing and blending of meat that result in a perfect burger, Mense applies his life experiences to make eating experiences better for consumers all over the world. Question: What is the typical composition of burgers today? BM: We make burgers lean, extra lean, medium and “normal.” Anything leaner than 72% lean goes into the premium range. Question: What is one of the key priorities in the burger-making process? BM: Consistency of the finished patty. It starts with using a consistent raw material and then that consistency has to transfer throughout the processing, from mixing to grinding to forming and portioning. You want to be able to produce the exact same burger every day. Question: What is a good starting point when going for the homestyle burger look and taste? BM: I always say to our customers and end users – “Know what you want as an end product.” Know your product, know your process. Do you want a homestyle fresh burger? If the burgers are preformed, what do you then do with them – freeze them or keep them fresh? If processors are looking at moving from a frozen burger to a fresh one, they learn it’s harder to control the fresh burger through the supply chain, but it gives a business the ability to charge a bit of a premium for the product. And we can help with that. Question: How does Reiser help processors make a better burger that consumers want? BM: Our Vemag gourmet patty line – the first one in the business – allows processors to make a burger very loose and homestyle-looking and just compact enough to hold together. The best burger is made in two phases: loose in a grinder or utilizing a bowl chopper, which uses knives inside to cut the meat individually without pressure into smaller pieces. That makes meat looser and gives a burger a bigger, better flavor profile. The final grind makes it even looser. Question: What is Reiser’s range of systems for homestyle burger production? BM: There are Vemag machines available in different sizes, from systems with smaller inline grinders to those designed for the highest output. They are all able to make the same qualities of a better burger. 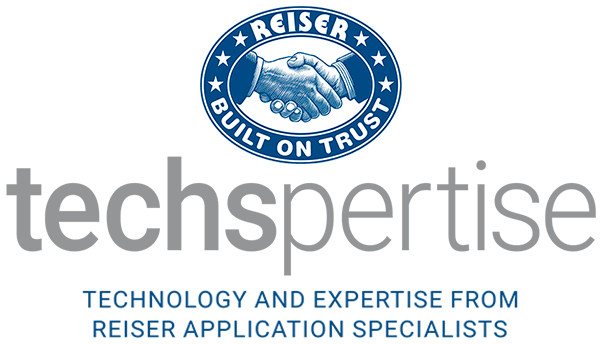 Between the technical development of grinders, pumps and formers, Reiser has the know-how of process control. That’s what we bring to the table. We also focus on innovation. One new thing for us is the ability to deliver portion and size accuracy with inline controls, to get the outputs desired with an ability to adjust.